Is anyone else been having a cough/sore throat? A lot of people seem to be falling sick. Ugh, stupid haze. Anyway Yutaki helped me with some of my apparel reviews the other day. Super cute pastel yellow-blue dress from Bouncy Buttons! It has a unique half-attached (? haha) collar. And here's if you're looking for unique accessories! Burglary has a lot of popular pieces at the moment like collar chains & neon/spiked stuff! Here are some pieces they sent me! Like neon? Choose between yellow & pink! The gold zipper bangle is damn cool & also comes in silver! Went for a YSL event the other day with Yutaki, Wendy & Qiuting! YSL will be opening a new store at Ion Orchard this month. Playing around with the display counter of YSL products! Headed to a Crystal Jade food tasting after that! 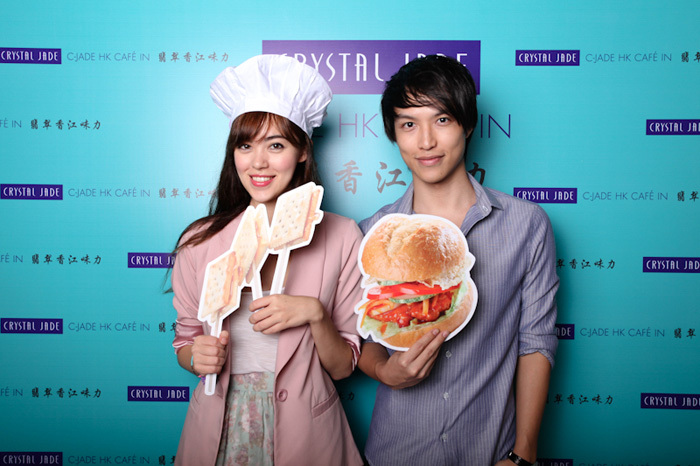 It was for their new C-Jade Cafe located at Bugis+ (previously Illuma) & it's basically like a more casual Crystal Jade! They serve more snack stuff & the ambience is more cafe-ish. And omg Bugis+ is so different now! It's worth a visit if you haven't gone! 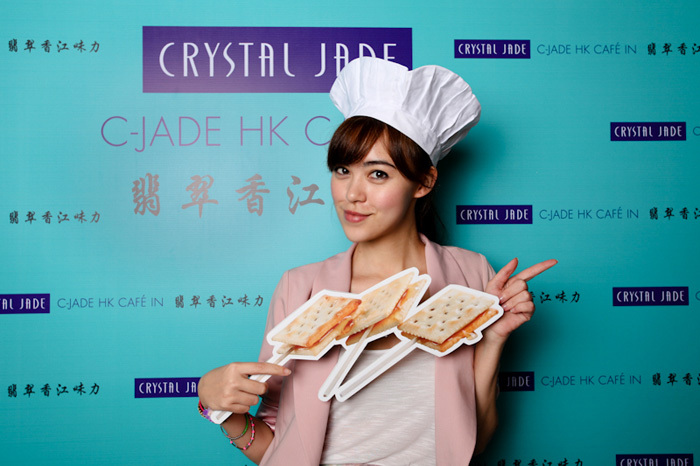 C-Jade has introduced a lot of interesting snacks/dishes! Check out their Ice Milk Tea! Haha I think the baked potato with mushrooms looks nice leh! I love potatoes & I love mushrooms! Someone try it for me please. L-R: Yutaki, Ivy, me, Alaric & Eric! My cough evolved into a flu by the time I got to the end of this post. But anyway mild illnesses have never bothered me. And all my friends will tell you I have an iron stomach because I believe in the 3-second rule (sometimes more...) & that anything in the fridge can't ever expire hahahaha. I LOL-ed when i saw the caption "featuring Qiuting's crumpled clothes". Sophie,pls tell her to iron her clothes. No point having so many nice clothes but didn't iron :(. On an unrelated note, love your dressing combo, pastel colours! All of you looked great! 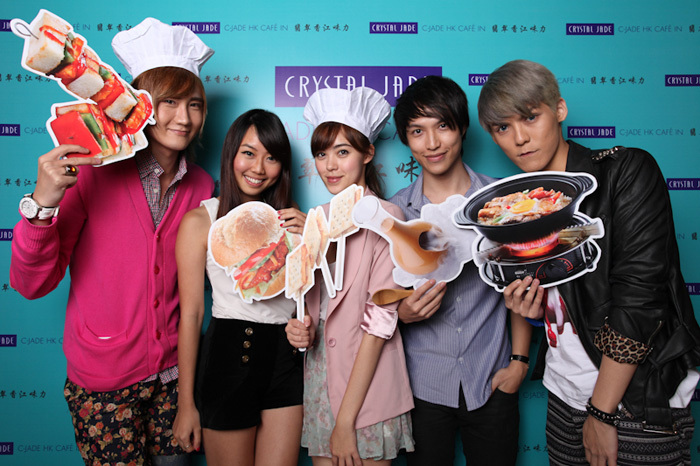 Xiaxue is so short, this is cute, haha! The food looks quite yummy. I like how Yutaki styled you, you look adorable. It must be unnerving to eat with slanted glasses. You'd get this feeling that they'd get out balanced anytime. btw, that gloss really looks good on you. But then, everything looks good on you. May I know where u brought your skirt?? Love it! Is the pink coat from Topshop?! love it so much. Flea with Qiuting & Miyake!